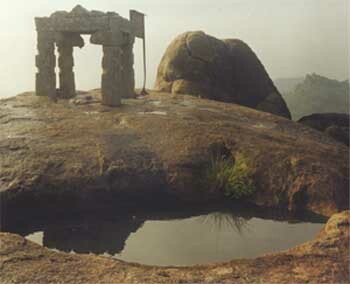 Near the Valli Malai rock temple the asramam is situated. Swami Satchidananda accepted Tiruppukazh as the Veda Mantra and taught all with music. In 1950 he attained samadhi. This samadhi is made of a single rock. Nowadays the asramam is administered by Sri Balananda Swami. 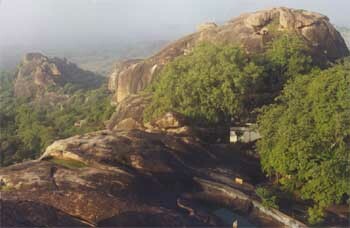 On the top of the hillock there is a Siva lingam called Tirumal Gireeswara. Here Vaisnavism and Saivism commingle. After the puja the priest blesses the devotees with sadari proving that this is a Vaisnava site. On the west of the asramam, there is a spring which is called Suriyan Kanā Cunnai, meaning the pond that does not see the sun, i.e. the sun's rays never touch it. The story goes that Lord Murugan came as an old man and asked Valli to give honey and tinai maha (millet flour) to eat. On eating the same he had hiccups and asked for water from a pond which does not get either sun rays or moon rays. The water is perennial and is considered as Ganges water. 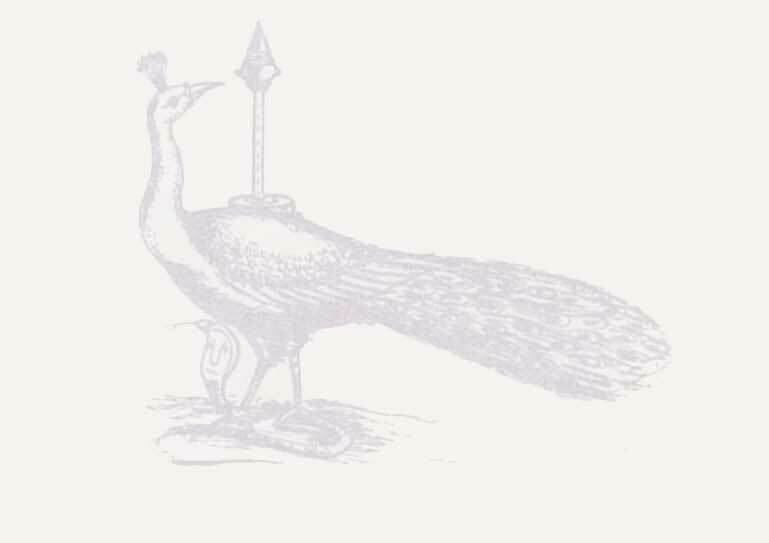 There are references about this spring on palmyra leaf sources. Young women sprinkle this water on their head and pray to Valli for a good husband.